Recently, InMobi, supported by Moblaze, participated in a Content Day that was jointly hosted by Mindshare Vietnam and Unilever Vietnam. 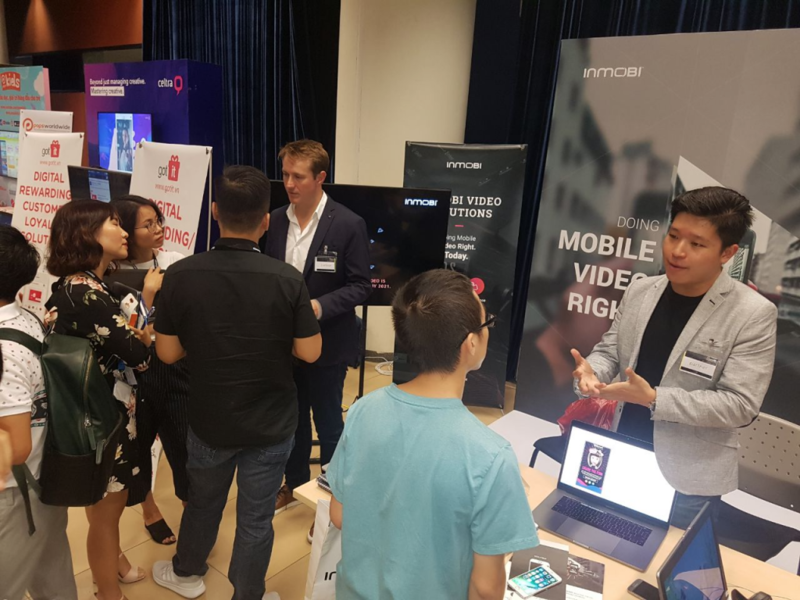 The event took place at Unilever Vietnam’s Homebase in Ho Chi Minh City and saw the coming together of the best content and technology partners in the country, with over 150 people attending this full day event. InMobi’s interactive booth that exhibited cutting-edge creative and targeting solutions including facial recognition, location solutions, rich media formats and the entire array of mobile video ad formats was a big draw at the event, attracting visitors who were keen to know more about the latest innovations in mobile ad tech. As per a recent study, 77% Vietnamese watch videos on their smartphones making it the number 1 market in SEA for video, with almost a third (36%) watching them daily. * Vietnam is home to 90 million people with half of them owning a smartphone, a strong indication of the huge untapped potential of the market. And to showcase the power of mobile ads in developing mobile-first markets, InMobi created a highly immersive experience for visitors; a set of mobile devices were preloaded with ‘The Cube’ ,a showcase of InMobi’s most creative work in the region. Several award-winning case studies from SEA were also presented. Visitors took special interest in Unilever campaigns that InMobi delivered in the region. To keep the fun going, all visitors were given fidget spinners to take home - a gift that delighted everyone and added to the excitement. With the number of people that gathered around the InMobi booth and the lively, informative discussions that followed, it was clear that InMobi’s presence was strongly felt.